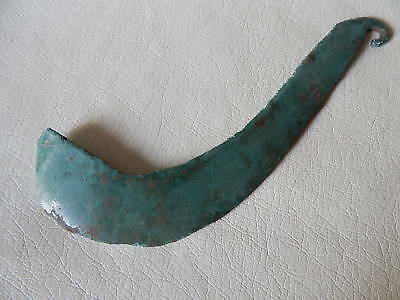 Prehistoric Bronze Sickle. 18–12 centuries BC. Srubna Culture. Popularity - 0 views, 0 views per day, 210 days on eBay. 1 sold, 0 available. 0 views, 0 views per day, 210 days on eBay. 1 sold, 0 available.